We are proud of our Orthopedic staff, they have secured the highest-level of certification by the Geriatric Fracture Society. We are the only hospital in California to achieve this. 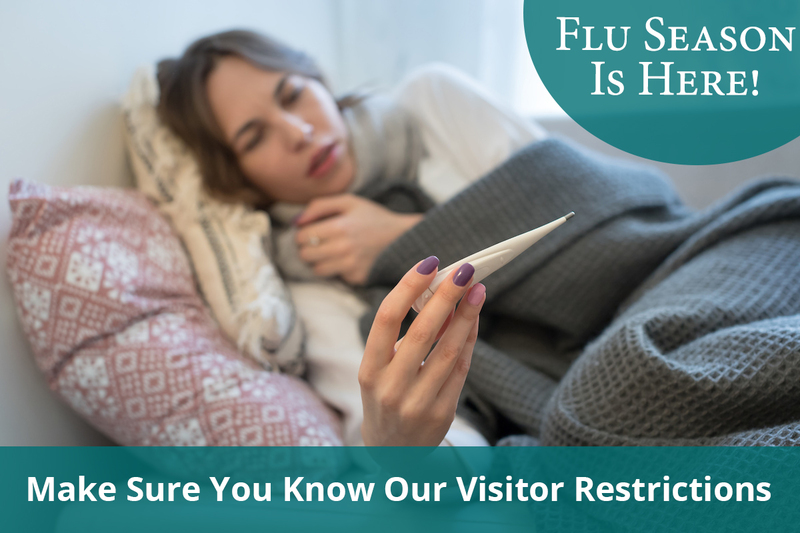 No more than 2 visitors per patient at a time are permitted. This may be changed at the nurses’ discretion. Visitors may be allowed in the emergency department and intensive care unit at most times, provided it does not interfere with patient care or patient needs. Depending on the patient’s condition, the nurse may limit visitation to 1 visitor at a time or no visitors at all. Visitors are encouraged to limit their visit to a short period of time. The only time we do not permit family in the ICU is from 6 to 9 a.m. and 5 to 7 p.m. Please, no phone calls during this time. All visitors must wear shoes and shirts. All children under 16 years of age must be accompanied and supervised by an adult at all times. The general visiting hours for the Women’s Center (OB) are from 10 a.m. to 8 p.m. There is not an age limit for visitors, but all visitors must be healthy. During labor there may be 3 visitors (at least 16 years old), and they may stay until the baby delivers. For the protection of our patients, no one will be allowed to visit any area of the hospital if they are sick or have been diagnosed with a contagious condition. Breakfast: 8 to 9:30 a.m.
Snacks are available in the gift shop from 9 a.m. to 4:30 p.m., Monday through Friday, and 9 a.m. to 1 p.m. on Saturdays. The gift shop is located in the main lobby.